Separated from any major military powers by two expansive oceans, the United States holds an unprecedented security advantage in great power competition. However, this does not imply, as the increasingly isolationist American public would suggest, that the United States should reign in its international commitments and be content to let each region sort out its own security architecture. Although the U.S. homeland is largely secure, this does not mean Washington does not have broader interests in being a security provider around the world. The United States plays a vital role in protecting the global commons and preventing regional rivalries from escalating into broader conflicts. The early 20th century and its two World Wars provide a stark lesson in the global ramifications of regional military competition in a globalized world. Thus, many of the core security questions the United States must deal with relate to the deterrence of attacks on its allies and the prevention of escalation of regional disputes. This policy of so-called extended deterrence is nothing new; it has existed since the initial defense commitments at the beginning of the Cold War to counter the fear of an expanding Soviet Union. These commitments eventually expanded into the broad system of alliances, treaties, and informal security guarantees the United States currently maintains. More than any time since the Cold War, adversaries around the world are testing this network of extended deterrence. Russia’s recent aggression in Eastern Europe reignites questions about the classic test case of the effectiveness of the policy of extended deterrence. Since the Cold War, the United States has offered the guarantee of protection to all of its NATO allies in the form of the Article 5 commitment that, “an armed attack against one or more of them in Europe or North America shall be considered an attack against them all and consequently they agree that… each of them… will assist the Party or Parties so attacked… including the use of armed force.” The expansion of NATO eastward after the Cold War now places many members of the transatlantic alliance in the crosshairs of a newly expansionist Russia intent on reclaiming some of its old Soviet sphere of influence. The situation has created significant unease in the capitols of the Eastern European NATO members including Poland, the Baltic States, and Romania. Outside of Europe, rising tensions in the Asia Pacific have reignited debates over the credibility of United States security guarantees. Despite the announced pivot to the region by the Obama Administration, North Korea continues conducting missile tests and estimates predict that its nuclear arsenal will grow considerably in the near future. U.S. allies are also concerned about the growing threat emanating from China’s military modernization and extensive territorial claims that place Beijing in conflict with Japan and the Philippines; two nations with explicit defense treaties with the United States. In the Middle East, concerns over Iran’s latent nuclear program monopolize the security discussion among U.S. allies. Recent criticism by many of these partners over the course of negotiations on the emerging nuclear agreement with Tehran heightens the need for Washington to reassure these allies that it will be able to protect them from the Islamic Republic’s growing ballistic missile arsenal, an issue Iran refuses to include in negotiations. 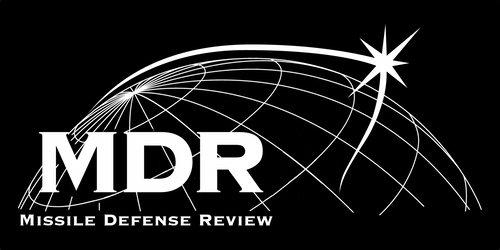 Homeland missile defense also plays a critical role in this extended deterrence mission. By raising the cost of American involvement, threats to the territorial United States constitute a powerful coercive tool for an adversary attempting to drive a wedge between Washington and its allies. North Korean rhetoric about turning the United States into a “sea of fire” as a response to intervention in a conflict on the Korean Peninsula to defend South Korea represents a powerful example of this strategy. The capability to deny Pyongyang this option limits its strategic leverage and contributes to deterrence by assuring the Hermit Kingdom that it would have to fight both the United States and South Korea were it to attempt to unify Korea by force. In a time where challenges to the United States are multiplying around the world while Washington is being consumed by debates about budget austerity, it is reasonable for many allies to question whether it can fulfill all of its commitments. In this environment, missile defense offers an investment in security that reaffirms U.S. commitments while limiting challenger’s options to splinter these valuable alliances. Gibler, Douglas. The Costs of Reneging: Reputation and Alliance Formation. Journal of Conflict Resolution. June 2008. Vol. 5 Number 3. Pg. 426-454.